A Tragic Romantic (yes, both in caps) set against the backdrop of the AIDS epidemic in early 90s France. 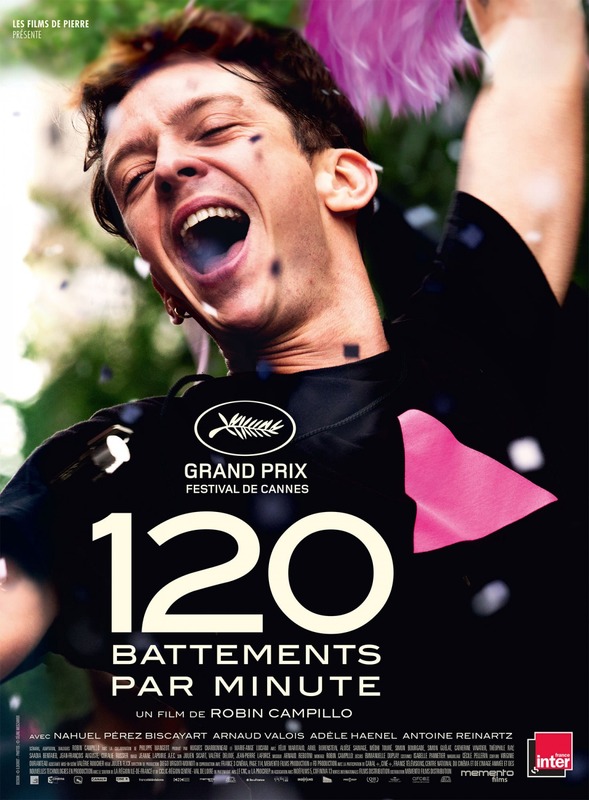 And unlike the American (read: mostly Hollywood) interpretation of the subject, BPM was a less showy retelling of the brave actions of the ACT UP activists, mixed in with a dose of European sensibility and arthouse auteur-ness. However, of course it still did have it cliches and was an unabashed tear jerker, but at least the cliches served a purpose and the tears were well-earned. The film was long but it never really felt the full 140 minutes and director Robin Campillo has smartly intersected the film with breaks to give the audience brief breathers to reflect and ruminate and recollect. A superb cast all round and our two leads had great, palpable chemistry that felt honest and real, which was crucial to the inevitable - but yet still cathartic - climax. The music was apt throughout and the choice to close the credits with no accompaniment was apt. After that ending, it was more appropriate to sit and reflect. Perhaps on how the world has changed because of these brave people, the social minorities who refused to be forgotten and neglected. Or perhaps on how we have benefitted from their sacrifice. BPM was an emotionally draining film that deserved to be watched. For all its humour and meta self-referentials which entertained and brought the laughs, this Ryan Reynolds-fronted sequel lacked the spark of originality which made the first movie such a breath of fresh air in this superhero-saturated landscape. This was expected - and inevitable - with most sequels but this film really over-compensated its weak plot, lack of characterisation, and honestly, poor action sequences/CGI, with a constant barrage of sight gags and running jokes. It all got too thin and tiresome after the first act and glaringly too reliant on (or obsessed with?) Reynolds to the detrimental sidelining of proper storytelling (or movie spectacle). But, hey, at least they got Celine to help riff-off Bond. An entertaining and fairly exciting ride albeit predictable. Ron Howard capably delivered a summer popcorn flick that paid service to the franchise but not necessarily adding much new fans. Nonetheless, it still had its share of moments especially whenever the familiar Star Wars theme play up or when Chewie and Han have a moment. After his star-making turn in the Coen brothers’ Hail, Caesar!, Alden Ehrenreich cements his leading man status here with an old-school, cinematic charisma and swagger that was highly reminiscent of a young Harrison Ford except for the annoyingly constant hands on hips/thumbs hooking pants, power-posing. Wes Anderson’s latest film is a The Little Prince-esque fable that will definitively entertain all ages. The young ones for its visual splendour and child-like allegorical storytelling of good triumphing over evil; for the adults, the visual allure of Anderson’s signature symmetry and colour-styling, and the dry, deadpan humour peppered throughout the vague, political satire. And of course we have one of Alexandre Desplat’s best score stringing the whole move along, and boy does he have fun with the Japanese influences.